The first step in skeleton development is the condensation of mesenchymal precursors followed by any of two different types of ossification, depending on the type of bone segment: in intramembranous ossification, the bone is deposed directly in the mesenchymal anlagen, whereas in endochondral ossification, the bone is deposed onto a template of cartilage that is subsequently substituted by bone. Polyamines and polyamine-related enzymes have been implicated in bone development as global regulators of the transcriptional and translational activity of stem cells and pivotal transcription factors. Therefore, it is tempting to investigate their use as a tool to improve regenerative medicine strategies in orthopedics. Growing evidence in vitro suggests a role for polyamines in enhancing differentiation in both adult stem cells and differentiated chondrocytes. Adipose-derived stem cells have recently proved to be a convenient alternative to bone marrow stromal cells, due to their easy accessibility and the high frequency of stem cell precursors per volume unit. State-of-the-art “prolotherapy” approaches for skeleton regeneration include the use of adipose-derived stem cells and platelet concentrates, such as platelet-rich plasma (PRP). Besides several growth factors, PRP also contains polyamines in the micromolar range, which may also exert an anti-apoptotic effect, thus helping to explain the efficacy of PRP in enhancing osteogenesis in vitro and in vivo. On the other hand, spermidine and spermine are both able to enhance hypertrophy and terminal differentiation of chondrocytes and therefore appear to be inducers of endochondral ossification. 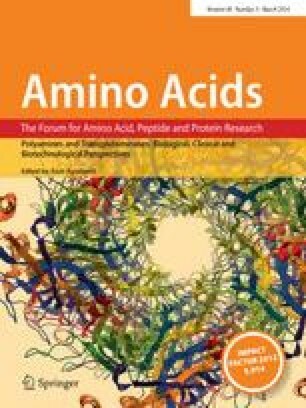 Finally, the peculiar activity of spermidine as an inducer of autophagy suggests the possibility of exploiting its use to enhance this cytoprotective mechanism to counteract the degenerative changes underlying either the aging or degenerative diseases that affect bone or cartilage. This work was supported by FIRB (Ministero dell’Istruzione, dell’Università e della Ricerca, Italy) grant RBAP10KCNS and Fondi cinque per mille (Ministero della Salute, Italy). The authors wish to thank Dr. Maddalena Zini (Dipartimento di Scienze Biomediche e Neuromotorie, Università di Bologna, Bologna, Italy) for technical assistance and Keith Smith for revising the English language.